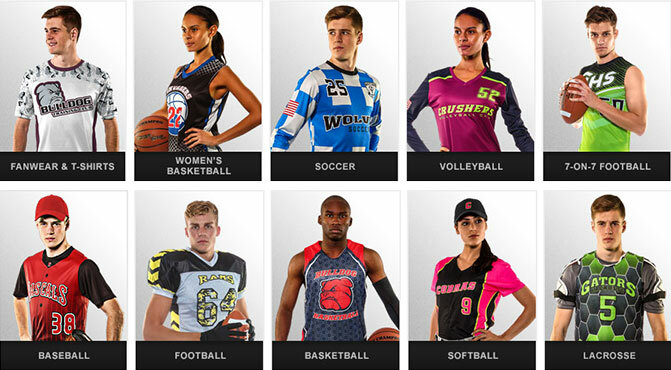 Code Four Athletics and Champro Sports offer you unlimited options in sublimated sports uniform designs. Choose from 30+ fade-resistant colors and lightweight performance fabrics. Custom uniforms available in all sports: soccer, basketball, softball, volleyball, baseball, lacrosse and more. Also choose from sublimated fan gear including t-shirts, polos and hoodies. Lots of pre-built design templates to get you started. Minimum order of only 6 jerseys or kits, starting as low as $29.95 each. Turnaround time of approximately 3 weeks. Start designing with Champro's Custom Uniform Builder to create your own look. Save and submit your design to us via email and we'll take it from there. Call 1-888-411-3687 with questions or more info.